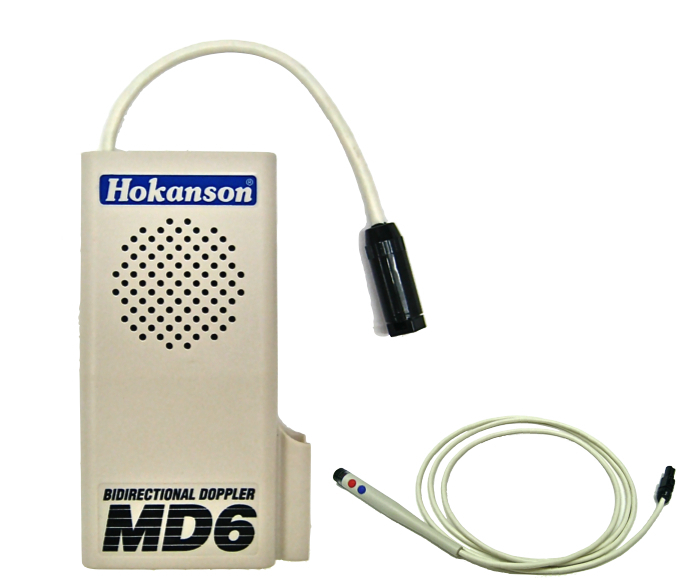 This “twin” to the MD6 Doppler has a detachable cable that is 6 feet (1.8 meters) long. The controls and re-chargeable battery are identical to the MD6 Doppler. It can also be used with the MD6VR chart recorder for printing waveforms. Handheld or pocket Dopplers: the MD6 and the MD6 with Detachable Transducer Dopplers are ideal for locating difficult to find pulses or checking post operative pulses on vascular stents or revascularized sites.